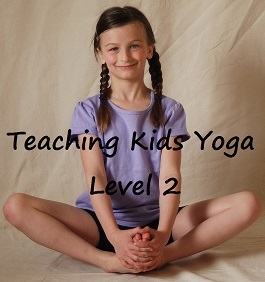 Every yoga teacher needs a few good yoga games when teaching classes for kids and teens. Here is a list of useful and fun yoga games for you to add to your instructor’s bag o’ tricks. Some take only a few minutes and are great to use at the beginning of class, during the last few minutes, or if attention spans are short. Others are longer and can fill an entire class period. I’ve even done classes which consist entirely of games. Be sure to get in there and play with the kids, allowing them to take on the role of ‘teacher’ whenever possible. Become a Member of the YIMS Teacher’s Lounge and access fun, engaging yoga games to rock your classes. A yoga memory game perfect when using The Pet Store yoga adventure story – be sure to download your FREE copy today. Develop core strength and co-operation with a ball and only your feet. A fun sensory and adaptive game for children with special needs. Develop sensory skills and mindfulness with this fun touch game. Send messages to one another and connect through touch. Teens love this too! Develop mindfulness and listening skills with this fun attention game which promotes auditory discernment and focus. Floating Feather uses the power of the breath while Find the Feather is an intuition game. Both provide great fun with a simple prop during kids yoga class. A gratitude game which brings mindfulness to appreciating the beauty of little moments each day. Change your negatives into positives with Five Good Moments. Crank the tunes and get your grove on, then freeze in a yoga pose. A great way to see how may poses your students know. Increase intuition, awareness, and sensitivity to others and the environment with this quiet version of hide ’n seek. Great for development listening skills. Pass the Hoop, Over Under and Walk, Hop, Hoop are great ways of incorporating Hula Hoops in class. This simple prop is a classic to bring into class and will result in hours of creative fun. Learn observation skills while mimicking your partner’s every move. Lots of variations to this fun activity including a video example. Musical chairs meets yoga. 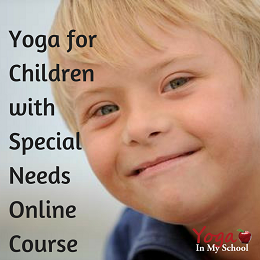 An inclusive version of this classic party game ideal for kids yoga parties, Family Yoga, partner yoga class and more. So many variations to choose from. Cooperative and interactive Popcorn, Mushroom, Cat & Mouse, Shark Attack and The Grand Ole Duke of York will keep kids in top form physically and mentally. Explore the meaning of opposites and develop personal creativity with this simple game. Each child expresses what they view as the opposite pose: active/passive, forward/backward, right side up/upside down, etc. 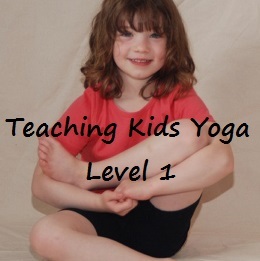 Turn a classic nursery rhyme and playground singing game into a kids yoga game ideal for toddlers and preschoolers. Don’t be surprised when they ask for this again and again. Practise listening skills and build leadership with this simple but effective game. It really works the core muscles too. Take any three related words and you have a great yoga game that kids will ask for again and again. Kids LOVE to take on the role of ‘teacher’ in this game so be sure to play a few rounds. A wonderful game (especially for teens) that connects individuals through focused intentions of good will and joy. Send joy today and start an avalanche of goodness which comes back to you as you listen for the love. Best of all you can do this anywhere, anytime. A yoga activity song great for teaching turn taking skills along with an addictive song that is tons of fun for kids and adults alike. A creative meditation and mindfulness activity which develops focus and attention in kids. Added bonus is it develops the pincer grasp and is a SILENT cooperative game. Bliss! Like the playground favourite ‘Simon Says’, however this time the Swami is in charge. This games teaches listening skills, improves self-control, and builds leadership skills while having loads of fun. Mindful breathing and awareness focuses attention, calms the mind, allows us to be present in the ‘now’. It’a also harder than it looks. Try 10 Breaths and see how far you get. 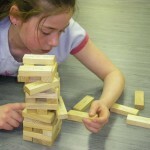 Take a classic Jenga game and add a yoga twist. Combines mental and physical skill while teaching patience and turn taking. Great fun for any size group with endless variety.